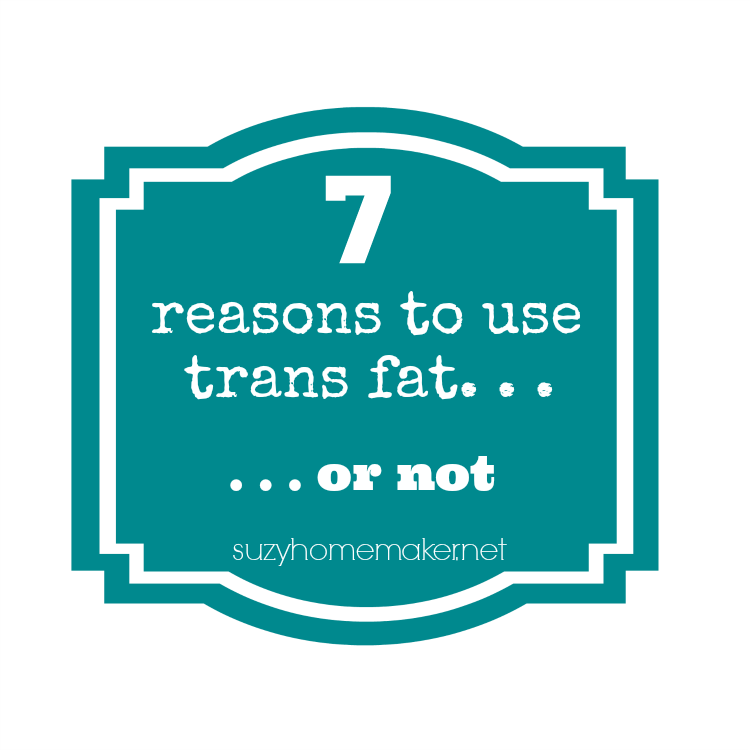 I read an article on the FDA banning artificial trans fat in food. This is good news and I support it. But I am not going to discuss why trans fats are unhealthy. Instead I wanted to highlight what I thought was an amusing piece of the article that talks about why food manufacturers use then in the first place. Cream in the fridge will last a few weeks. Just use that. Is it that hard to make a butter based frosting? Plus coconut oil stays solid under 78 degrees. Once again butter spreads very easily. Just leave it on the counter. So you don't have to use shortening It even says that butter or lard could be used in baked goods. Both of which are a much better, healthier option. I am just going to say it... No, actually I will be nice. It does not take that much more effort to put flavoring on your popcorn yourself. Soybean growers? Or GMO companies. Again, if fat is what you want, you have plenty of options besides hydrogenated oils. It seems like a common theme in all the above reasons for using trans fats was for keeping food shelf stable. At what point does it stop becoming food and simply become preservatives?